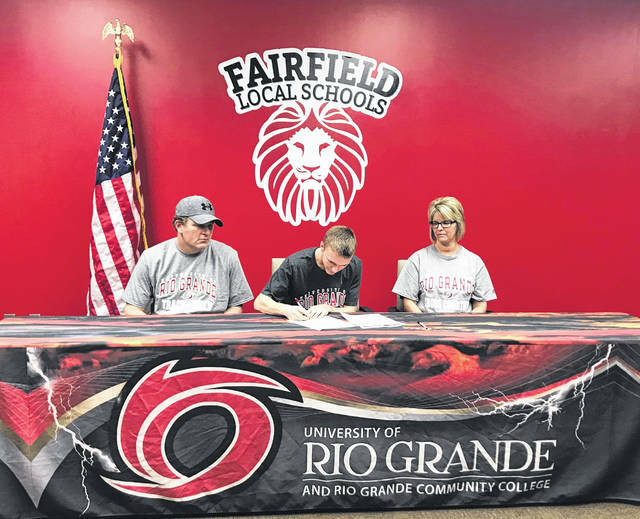 Fairfield senior Austin Setty signed his letter of intent with the University of Rio Grande. Austin will be running Cross Country and track and field at Rio Grande. Austin has participated in cross country, basketball and baseball all four years in high school. Austin currently has a 3.4 GPA at Fairfield. Pictured (l-r): Shane Setty (father), Austin and Stacey Setty (mother).